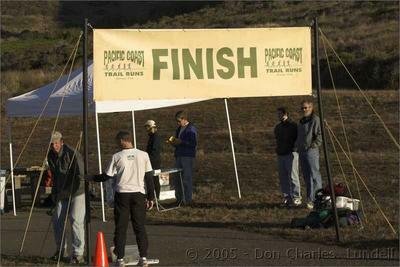 It was a beautiful day at the beach for PCTR's Rodeo Beach trail runs (one of their best events). Gillian and I headed up early the in morning, caught the sunrise from above the Golden Gate Bridge, then drove over the hill to Rodeo Beach, where we helped out at the start-finish. We're most often at Rodeo before dawn, running north in the Miwok 100K, so it was nice to see what it's like on a sunny morning. In the afternoon, Gillian swept the 20K course, and I went to take a few photos of the Bridge.